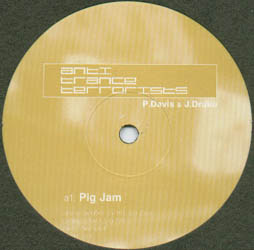 "Pig Jam" was my favorite track off Darren Emerson's excellent 2000 mix for Global Underground (Uruguay). Produced by Paul Davis and Justin Drake of Circulation (Justin is also half of Peace Division). It's good kickin' tech house, driven along with a powerful kik drum and some good noises that fade in and out of the mix. Love it.